Carrie Brown is the director of the social journalism program at the CUNY Graduate School of Journalism in New York City. This program, which launched in 2015, focuses on using new tools and strategies to engage communities. Her research focuses on how newsrooms can adapt to the rapidly evolving digital and economic climate, and has included extensive periods of observation and interviewing at news organizations such as the Milwaukee Journal Sentinel, WMC-TV Channel 5 in Memphis, and the Christian Science Monitor. In 2013 she won the Top Paper Award at the ISOJ conference in Austin, TX with co-author and friend Jonathan Groves. Prior to coming to CUNY, Brown was an associate professor of journalism at the University of Memphis. In 2014, Brown won the national Educator of the Year award from the Association for Education in Journalism and Mass Communication’s Newspaper and Online Division. She was invited to be part of a “select group of thought leaders” on American Press Institute’s Research Advisory Board, whose members meet and collaborate with top newsroom leaders from The Washington Post, The New York Times, NBC News, and other leading journalism organizations to shape practical research agendas. She was a research fellow at the Tow-Knight Center at the City University of New York in spring 2013. In Memphis Brown developed and taught new courses in cutting-edge areas such as social media and entrepreneurial journalism, winning the campus Alumni Association Distinguished Teaching Award in 2013. She served as director of the city-wide high school journalism program The Teen Appeal for four years and is currently an adviser to the program. She also recently launched a new graduate certificate in entrepreneurial journalism in partnership with local accelerator Start.Co. Her interest in design thinking led her to complete the Memphis Innovation Bootcamp in 2013 and serve as a invited facilitator for the Online News Association’s dCamp Mobile. Brown also has professional journalism experience, having worked as a reporter and editor for the Eau Claire Leader-Telegram, CD Publications, and the Columbia Missourian. In addition, she traveled to more than 50 newspapers large and small across the United States as the manager of the Traveling Curriculum Program of the Committee of Concerned Journalists, helping newsroom leaders and staff find ways to preserve core values while adjusting to industry changes. The workshops were based on the principles articulated in the book Elements of Journalism by CCJ Chairmen Bill Kovach and Tom Rosenstiel. 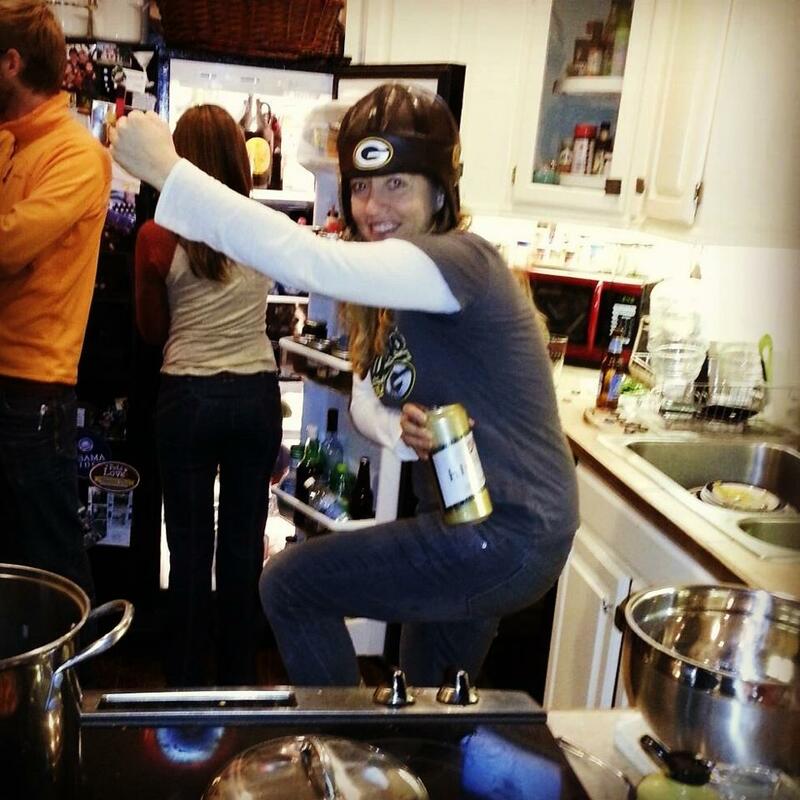 When Brown is not writing about, researching or teaching journalism, she is often running, reading, traveling, hiking, playing with her lovable but unruly labradors Sam and Pippi, doing yoga, watching Packer football as a proud team owner, or enjoying a fine craft beer or a domestic macrobrew. She Jersey City with her husband, Grant Smith, who is a data journalist at Reuters. I am impressed and am learning things from your posts. I will add your blog to my own blog roll. Thanks. I’m impressed by your very interesting blog and I would to know a little bit more about your academic research which are closed to mine. I’m a former journalist too, an instructor in j-school and PhD student in France. I would therefore interested in reading your papers about your research topic: would you agree to send them to me? Maybe we can exchange about that ? I love your blog. As a fairly new teacher of undergraduates, I would love to pick your brain about techniques and lessons, etc. Very impressive. Definitely proud, as a journalist, that people like you are out there, intelligent and concerned! Thanks, I’ll check out your blog as well! Excellent start. I’ve been deeply involved in research regarding the changes, over the last two to three hundred years, in what I’ll simply call ‘Journalism’ for the moment for lack of a better term. That ‘search’, literally & figuratively, brought me here. Thanks !! It’s a difficult time in the journalism industry, that’s for sure, but I definitely believe that it’s still an excellent choice of a major. There are still opportunities at smaller papers, but it’s obvious that the pool of jobs at traditional media has shrunk. However, over the long term I’m bullish about the rise of new kinds of news organizations, and even today you can see them flowering in many cities. But, even if you daughter never ends up getting a job in journalism, she’ll have a host of transferable skills. Writing, multimedia, Web design & programming, being able to talk to people and find and verify information, critical thinking – those are, I would argue, valuable skills for a host of careers.